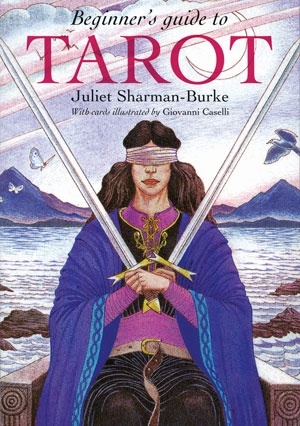 This deck/book set is designed to introduce the beginner to the art of tarot reading. The Sharman-Caselli deck has taken some of its imagery from classic decks as early as Visconti-Sfzora, as well as from the Smith-Waite deck. The softly colored deck encourages tarot newcomers to tap into their intuition. Its thematic approach uses colors and visual symbols to explore archetypes and elements in tarot. The book introduces readers to the Minor Arcana first, exploring correlations between the four suits and the four elements. Particular colors and specific symbols are used in the imagery of each of each suit, linking each one visually with a corresponding element. 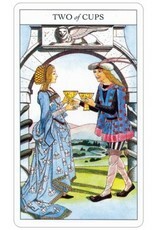 The Court cards are also analyzed in terms of their astrological dimensions. A practice layout is given for each suit. 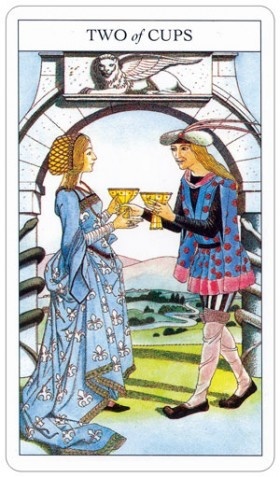 Once you are familiar with the Minors, you will meet and practice with the Major Arcana. This unique method makes it fun and easy to get to know all the tarot cards. Size Box measures 4.75" x 6.75"; Cards measure 2.25" x 4.25"